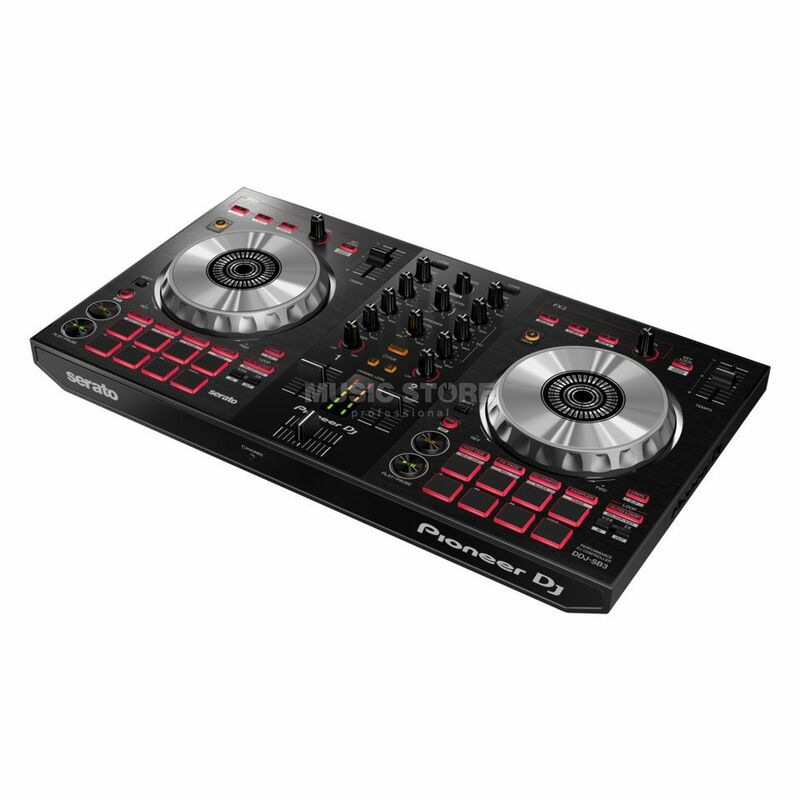 The Pioneer DJ DDJ-SB3 continues in a similar vein to its predecessor, the DDJ-SB2 DJ controller, only with a refined approach and embellished features. The DDJ-SB2 was revered for its professional features and mobility, and the DDJ-SB3 continues this tradition with new Play and Cue buttons, Pad Scratch (see below), an independent Auto-Loop button, High & Low Pass filters and Hot Cues. Pioneer and DJ Jazzy Jeff have collaborated to execute the new Pad Scratch function found on the DDJ-SB3. It is possible to create legendary scratches with intelligent BPM matching, based on the classic recordings of the Hip-Hop DJ by interacting with the performance pads. Smooth transitions are a breeze with the new FX fade function. The DDJ-SB3 is perfect for both veterans and newcomers to the art, being particularly accessible to those with limited experience. This is a really good controller for the money. The build quality is solid, and the feature set surprisingly comprehensive for the price. My only complaints are: a) The lack of balanced XLR outputs, which are essential in my view, and b) The lack of a balanced XLR microphone input. Microphone 'ducking' and an Echo function would also be nice to have. Otherwise, the console offers superb value as an entry-level unit. I just wish that Pioneer had the foresight to include balanced outputs... only RCA connections are included on this unit.